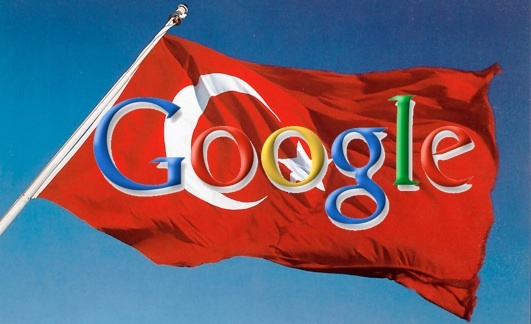 Turkey Bans Google Access for “Legal” Reasons, but Why? Turkey has long blocked Google‘s YouTube service, but now it’s announced an indefinite ban on Google search and other services, citing “legal reasons.” Is it a sign that Turkish-U.S. relations have got sourer, or a mistake? The statement from Turkey’s Telecommunications Presidency is at once clear and mystifying. It notes that many of Google’s IP addresses have been banned outright, while access to some others has been crippled so they’ll take long times to load. That’s pretty emphatic. But the statement also refrained from mentioning whether the ban is a permanent change or a temporary sanction, and it gave no hint as to the driving motive. Instead we’re left with the phrase “access to this site is banned by court order” hanging ominously in front of us–it’s the message Turkish citizens see if they try to surf to barred Google properties. Turkey first barred access to YouTube back in 2007 for what the International Business Times refers to as “alleged insults against Turkish Republic founder […] Ataturk,” and since May 2008 the ban has been permanent. Users trying to gain access to YouTube in 2007 got the message “access to www.youtube.com site has been suspended in accordance with decision no: 2007/384 dated 06.03.2007 of Istanbul First Criminal Peace Court,” which is also similar to the current alert. The bar was imposed after what appears to have been a “virtual war” between Turkish and Greek users, culminating in the upload of videos to the service that insulted modern Turkey’s founder. You can argue that this is the Turkish authorities acting in a fit of schoolyard-esque pique, but the ban is still in place, so it’s obviously a slight that’s deeply felt, even if Turkey is taking a low-brow “hammer to crack an egg” solution and blaming the wrong source. With sentiments like this among Turkey’s legal system, there could be any number of reasons for this most recent escalation of Google state censorship. In the information vacuum from Turkey, one could easily point fingers at souring U.S.-Turkey relations, and the widely deplored attack on Turkish boats by Israel last week. But would the Turkish government really take this stance and use U.S.-based Google as a political tool to needle the Obama administration about its pro-Israel stance, or possibly even the U.S. approach to the Iranian nuclear fiasco? Or is it simpler than this, and Google was merely linking to many pieces of online content that the Turkish authorities deemed unacceptable all of a sudden? Over at The Register they’re suggesting a different motivation. Google has communicated with them to say it believes the ban is an “accident,” and it’s trying to get to the bottom of it. That’s quite some accident if it’s true, and this PR-spin doesn’t explain the Turkish statement on the sudden expansion of the YouTube ban to many more Google properties. You’d also expect pretty swift moves to clear up such a big “accident” on behalf of the Turkish government. What could be behind the ban is simply an attempt to strong-arm Google into paying taxes in Turkey, a political and financial hot topic in the country. But it seems nothing concerning this state-sponsored censorship is very clearly understood at the moment, which is odd given that the implications for Google are pretty big, and such high-profile censorship may even damage Turkish attempts at joining the European Union.